Since you have to exit your game to make graphics changes, the Ubersampling setting in The Witcher 2 PC is hard to compare. This monster of a setting will cut your frame rate in half and here I will show you the real difference. 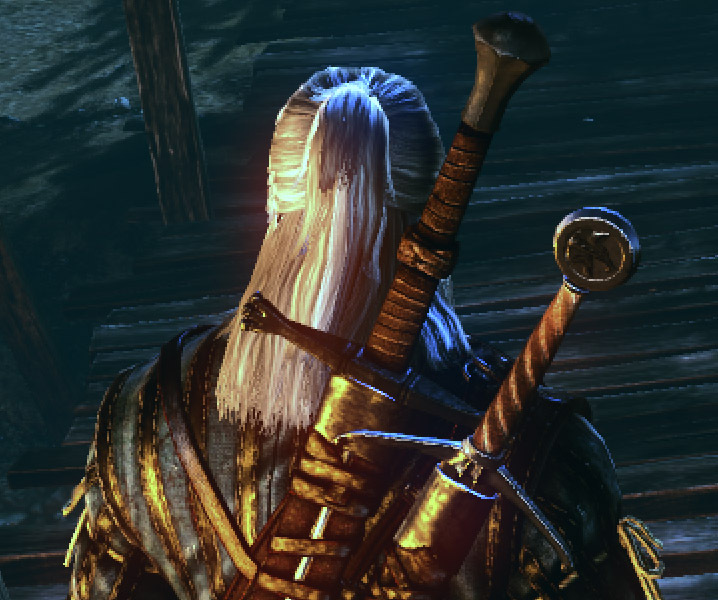 Players of the Witcher 2 have been calling this setting a blur filter. In essence this mostly correct. It causes a major performance hit since it renders a scene multiple times, doing the job of anisotropic filtering and anti-aliasing. What most people don’t see or talk about is its effect on the scene’s lighting. If you compare the fullscreen bitmaps I provide below, you will see that the scene with the ubersampling off looks somewhat washed out in comparison. The following image shows ubersampling ON. When you mouse over it, you can see the ubersampling turned OFF. Notice the background lighting difference and the noisy, pixelated Geralt. 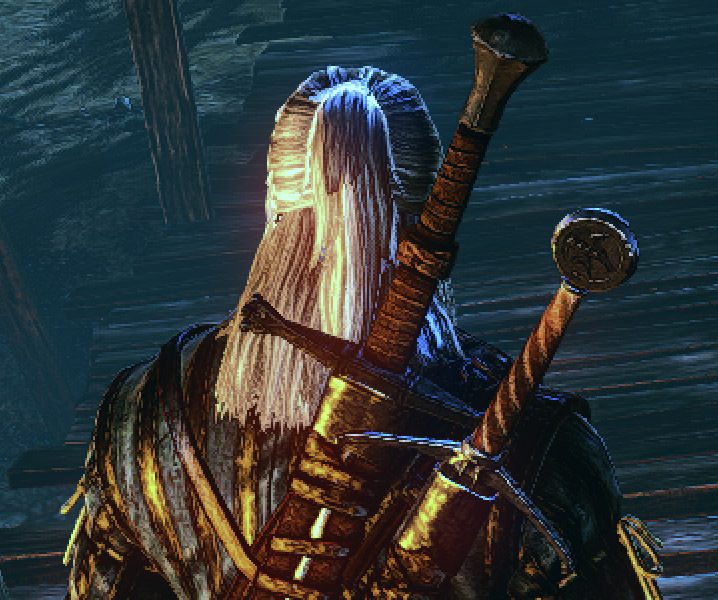 If you swap the image back and forth a couple times, you will notice that Geralt looks gritty/dirty with the ubersampling off. Keep in mind though, that this is zoomed in. Open the following two images in separate browser tabs. They are 1920 x 1080 lossless bitmaps, using ULTRA settings on a GTX 470. You can toggle back and forth between them to see the overall difference as you would see them in the game. FYI: These 2 BMP files are 6 Megabytes each. I will let you decide on whether this setting is visually worth its incredible performance cost. But since this is a 4+ year old game now, I’d say everyone with an upto-date gaming PC will be able to turn it on for this game.